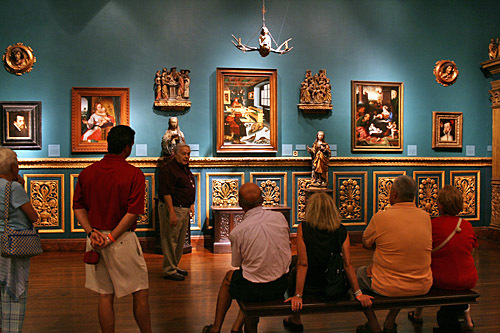 Visiting Ringling Museum – Dolci chose simplicity of theme rather consciously as his enemy and while we could argue the impact that that had on his development as an artist there is little argument that this is a great work of art. One of the many extraordinary things about the Ringling Museum of Art is the concept and use of Contextualism. Contextualism is the view that a work of art can only be understood in the context of its historical or cultural circumstances, or in the light of other works by the same artist or in a surrounding tradition. In the Museum, we see religious art of the Florentine Renaissance intended for personal devotion, displayed in a small rooms closely resembling Florentine bedrooms while other rooms are designed and decorated in the same fashion as a Cardinal’s room depicted in a painting on display. The notion of exhibiting works in physical spaces in harmony; historically and aesthetically with the art is an intriguing one to me. Although I suppose the danger is that it can be carried too far- detracting from rather than enhancing the painting with furniture, wallpaper, lighting, and historical curiosities that compete with the art for ones attention- this is not the case with the Museum. 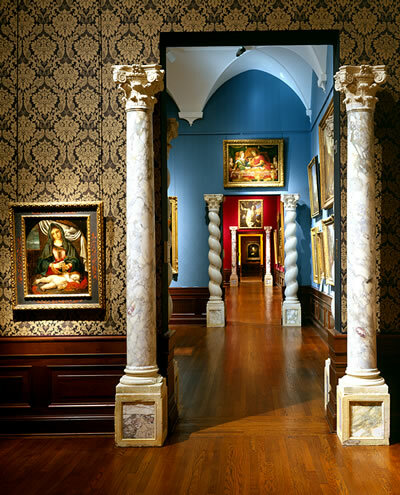 The galleries are done beautifully and tastefully serving to the enhance the artistic experience for the visitor by exhibiting works closer to the original spaces in which they were created or meant to be displayed. While the Ringling counts a number of large scale counter reformation Rubens, a Titian portrait, an El Greco crucifixion, and a Velasquez one of the more popular works in the museum was created by a lesser known 17th Century Florentine painter, Carlo Dolci. The painting, Blue Madonna (1616-1687 oil on canvas 21” x 15.25”), acquired by John Ringling in 1927. The lush royal blue of this young Madonna’s robe, reminiscent of El Greco’s use of color to communicate spiritual life in his work, comprises most of the composition in this portrait. 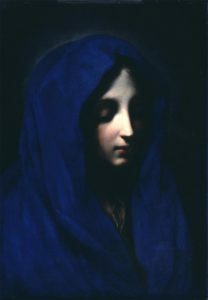 Beautiful in its simplicity with light from above is falling on her long narrow face, which appears to emerge supernaturally from the shadows of the rich blue fabric. Like Caravaggio and his followers, Dolci highlights the powerful presence of his subject and achieves a dramatic level of emotional engagement through contrasting light and dark in his work. For example, Mary’s pink and white face in contrast with the blue veil upon the black background upon which it is set provides the light for the entire piece. Mary’s face in fact provides so much light that it seems to pour through the hood in the back of her robe creating a halo effect. Mary appears at peace in this painting, serene, reflective, perfectly content. A sense of humility and resignation to her expression is offered as well that would have been intended to serve as an example for devotees- a surrendering of one’s will to God that would lead to a state of grace, a complete peace with oneself. But unlike the better-known style of Baroque painting in the Roman tradition, Florentine style demonstrated here by Dolci is more static and does not focus on life size figures twisting and turning their bodies in powerful action. Instead, Dolci who was so meticulous and deliberate concentrated on highly detailed half size portraits. “Sometimes he would take weeks over a single foot,” biographer Baldinucci wrote about Carlo Dolci’s painstaking painting process. At an early age, Dolci restricted his subject matter to religious themes, which almost certainly restricted his maturity as an artist. He once stated his “firm intention to paint only works that would inspire the fruits of Christian piety in those who saw them.” He specialized in devotional works, although he also earned his international reputation through the portraits and still lifes he intended for his sophisticated patrons. 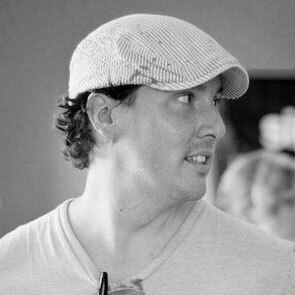 While at the same time making his work extremely sought after during his lifetime. Many have panned Dolci’s style as sacramental and heavy handed lacking subtlety and ambiguity…sort of like images found on Hallmark greeting cards. Dolci chose simplicity of theme rather consciously as his enemy and while we could argue the impact that that had on his development as an artist there is little argument that this is a great work of art.